Do your clothes smell musty and mildewy? Add EC3 Laundry Additive to every load of laundry to remove mold from your clothes, linens and washing machine. 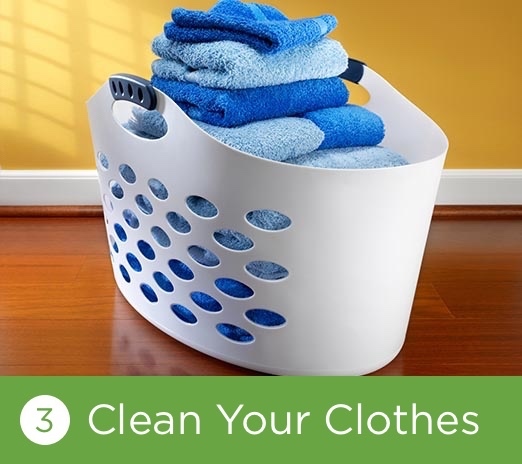 Using EC3 Laundry Additive rinses away bacteria and mold spores that get trapped in your clothing and other fabrics that regular washing alone can't eliminate. Remove those mold spores - don't carry mold with you wherever you go and don't wear it on your body! Our mold Laundry Additive removes musty and putrid smells from washable textiles including bed linens and pillow cases. 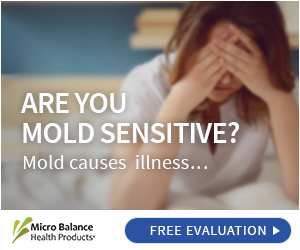 Without it, you sleep each night with mold scarily close to your body. Night sweating and dead skin cells also contribute to linens and pillow cases being breeding grounds for mold. 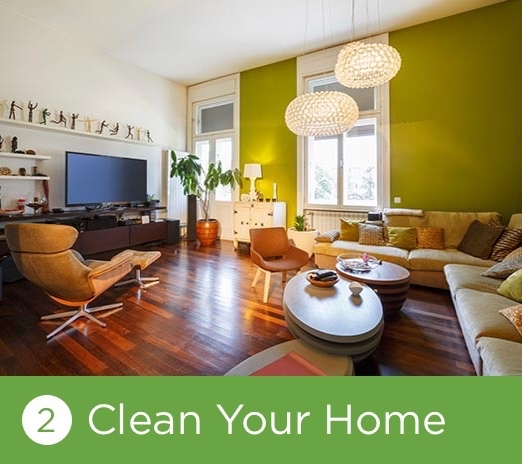 You can also remove mold from towels and sweaty gym clothes, which takes care of the musty, mildewy smell. People often use fabric softener to eliminate odors but are only adding perfume to the problem. EC3 Laundry Additive takes care of the source of the issue. EC3 Laundry Additive helps maintain a mold-free washing machine, especially high-efficiency front load machines. These machine types can harbor mold, moisture and fabric softener, sustaining a moldy environment after each load. Clean your clothes, linens and washing machine with EC3 Laundry Additive and improve your health. LAUNDRY IN HE WASHERS - Add one (1) ounce of Laundry Additive to the rinse cycle reservoir (where you normally add your fabric softener) of your washing machine for every regular wash cycle. LAUNDRY IN OTHER WASHERS - Add two (2) ounces of Laundry Additive in the same manner as above. TO CLEAN WASHER - Add three (3) ounces into the bleach well or into the body of the machine and select the CLEAN cycle on your washer. This product should be used in addition to your normal detergent or bleaching agent. EC3 Laundry Additive is safe for use on all washable fabrics, and is free from all harmful chemicals, synthetic perfumes or dyes. It works with all HE appliances. I use it every time I wash clothes! My daughters go to a middle school that flooded over a year ago. There is a mold/mildew problem at the school. This ec3 laundry additive has kept their clothes from contaminating the rest of our clothes. It smells nice and really works! Following a mold remediation I will not launder without this. It has saved my clothes and towels and I feel safe knowing my laundry and my washing machine come up clean and bacteria free. THANK YOU! I highly recommend this product for Anybody, especially those of us that have the dreaded front-loader washers! Your clothes will smell amazing! Absolutely incredible product! Made such a huge difference in our front loader, that I recommended it to all of my friends. 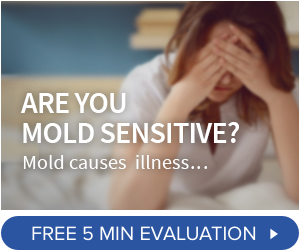 I'm currently having mold issues in my home. The mold spores got on my clothes. I was not able to wear them because I was having a terrible reaction to the mold. I was terrified that I would have to throw my clothes away. Luckily I found out about this product. It's easy to use and it works extremely well. I can wear my clothes without worry. I will use this product for the rest of my life!!! I use it every time I wash clothes. I could tell an immediate difference after using. Clothes smelled better and I didn't have to worry about wearing contaminated clothing. I've used this for about a year with every load of laundry. I would not go without this product!